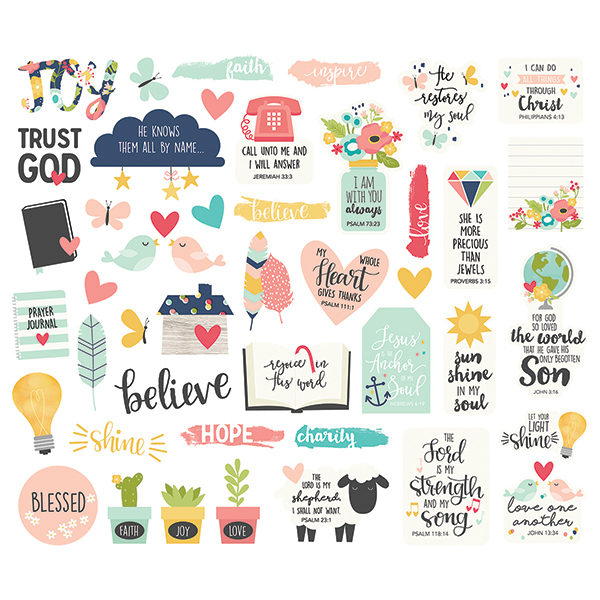 This package contains an assortment of Ephemera Bits & Pieces to with create or design your Faith Planner or Projects. Part of the Faith Collection by Simple Stories. Look for coordinating Designer Papers, Sticker Sheet, and Decorative Paper Clips.